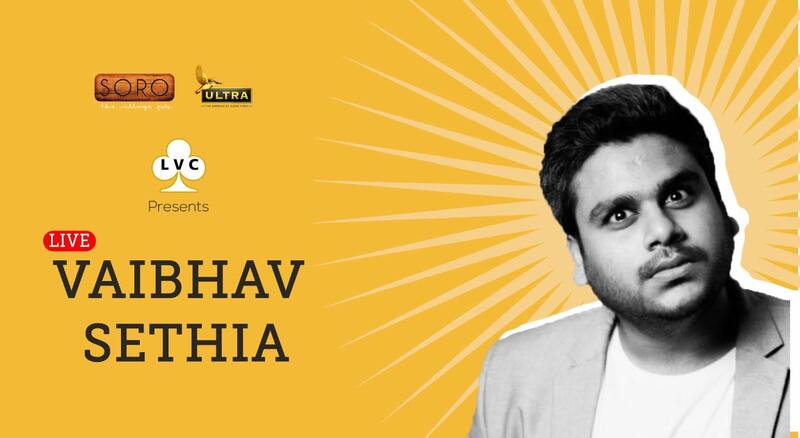 LVC is back with fellow comic Vaibhav Sethia in Goa! V for Vaibhav, V for variety. From smokers, suicide and solitude, and design of cockroaches and humans, and cats, to vegetarians, pilots and bikers, comedian Vaibhav Sethia’s stand-up sets cover all possible topics with his jokes and stories. He is an ex-Marwari who was banished from the community for being too funny (their stomachs were hurting too much from laughing 24*7). The comedian has performed at all the popular comedy haunts, like the Canvas Laugh Club, and has won popular contests like the Pajama Fest Open-Mic in 2014. The Kolkata-raised, IIT-Rourkee graduate has previously worked as a writer and an assistant director, after he quit his money-minting oil company job. He co-founded Comedified in 2014, with fellow comedian Anirban Dasgupta, Kolkata's most popular comedy group, and was instrumental in starting a comedy scene in the city, leading to as many five open-mics every week, when there were none.